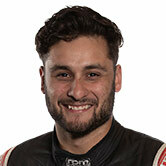 Supercars Dunlop Series driver Matt Chahda says he is confident about his racing ability, despite his race career being questioned by other drivers in the category after five-car spin out in Race Two yesterday at the Wilson Security Sandown 500. Chahda lost control of his number 18 Ford Falcon FG and pin balled down the inside of turn one in the first lap of the race taking out Bryce Fullwood, Jack Le Brocq, Andrew Jones, Adam Marjoram and teammate Todd Hazelwood. He has been subject to criticism among drivers affected by the incident, specifically front-runner Jack Le Brocq who said the run-in affected his Championship standing this weekend. Chadha said the incident has come off negatively and admitted it’s understandable other drivers are not impressed with how it played out. “Jack had some words, he was understandably angry about it,” Chahda told Supercars.com. Despite his understanding the reasoning behind blame for this incident, he said he believes he’s kept his racing clean all year and doesn’t understand what other errors have caused further disagreement about his racing career. The 22-year old graduated to the Supercars Dunlop Series in 2015 and said he has been involved in some crazy situations however this is hands down the worst. “I still feel confident about my racing ability,” Chahda said. He emphasised his team is small it would be a dream to be able have the privilege of coaching and engineers being a part of his game like the bigger race teams such as Prodrive. “Half of my career I have run with no data and no engineers and I have just been doing it myself and made changes myself and it’s really hard to fight at a level like this,” Chada told Supercars.com. “They are all there with their big teams and big budgets and engineers who built the car running the car.